"SaddleBaby replaces the traditional method of needing to hold your child's ankles with a much safer and practical system that uses high quality commercial grade Velcro and adjustable buckles to secure your child ankles comfortably and directly to your shoulders. The SaddleBaby shoulder carrier allows you for the first time to safely free your hands to do more and focus on spending quality time with your child. 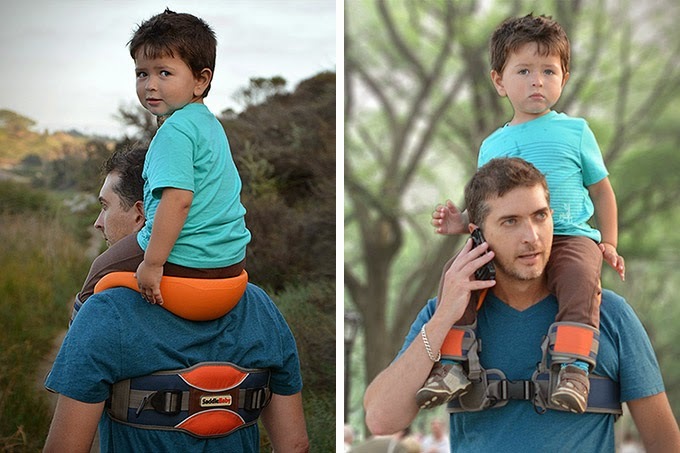 This shoulder carrier gives you the flexibility to go places that you couldn't navigate with a stroller."